Well, one major problem that vegetarians have is that, by not eating poultry and meat products, they eat fewer iron-rich foods. Having low iron, or “anemia,” can make you feel sluggish and tired, and like you have no energy to do the things you normally love to do. Does the Vegetarian Lifestyle Have More Health Risks? A 2012 study of female vegetarian students at the California Polytechnic State University wanted to see if students adhering to the vegetarian lifestyle were more likely to suffer from iron deficiency anemia. They actually found no difference in iron intake between vegetarians and non-vegetarians. The results were surprising—about 65% of both groups failed to meet the recommended daily intake for iron. An earlier study also found that vegetarians are not likelier than non-vegetarians to suffer from iron deficiency. Another study that analyzed 43,000 female vegetarians and non-vegetarians again produced the same results: they had similar iron intakes. There are even more studies, like a 2012 report that compared vegetarian and non-vegetarian children in Ghana and found that both had similar levels of iron deficiency anemia (about 25%). 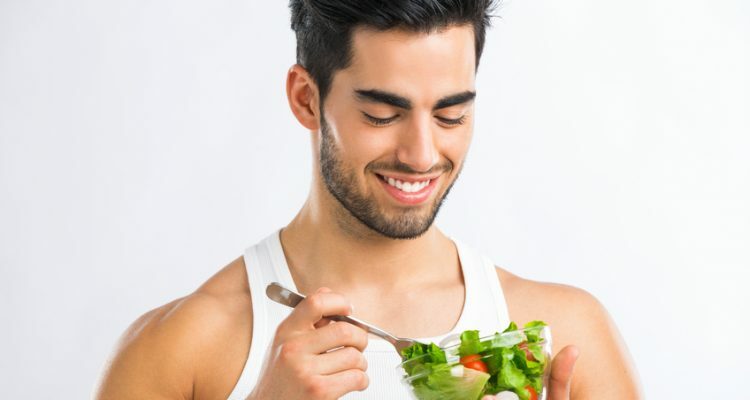 Now, you might be wondering why you hear about the risks of choosing a vegetarian lifestyle: after all, it looks like vegetarians and non-vegetarians have the same intake of iron. How do they get just as much iron if they’re not eating meat or poultry, two big iron sources? Thanks to the Western diet, we actually consume a lot of iron rich food in the things we eat every day. Iron can be found in many vegetables and even herbs; you might be eating them without even realizing their great benefits! That doesn’t mean that you can just continue eating vegetables and hope you’re getting enough iron—it’s one of the most important nutrients your body needs, and iron deficiency anemia is actually the most common nutritional deficiency in the world. Those studies don’t show that vegetarians get less iron than people not following a vegetarian lifestyle, but what they found is even worse—many people are not getting enough iron at all. Start eating those iron-rich foods and add in these, too: blackstrap molasses is an excellent source of iron, and so is chamomile. Watercress is a bit bitter, but it’s actually high in iron, too. Lartey, A., et al., “Dietary intakes and iron status of vegetarian and non-vegetarian children in selected communities in Accra and Cape Coast, Ghana,” African Journal of Food, Agriculture, Nutrition and Development 2012: 5,822-5,842. Killip, S., et al., “Iron Deficiency Anemia,” Am Fam Physician March 1, 2007; 75(5): 671-678. Hawk, S., et al., “Risks of iron deficiency among vegetarian college women,” Health 2012; 4(3): 113-119. Office of Dietary Supplements, National Institutes of Health, “Dietary Supplement Fact Sheet: Iron,” http://ods.od.nih.gov/factsheets/Iron-HealthProfessional/; last accessed April 15, 2013.